Writing is the ultimate form of expression / communication where you project your thoughts and ideas into a physical form, which when preserved, are available for eternity. Writing has innumerable compositions and essay writing is one them. It is one of the most widely used type of writing and authentic form of writing where a writer refers to proven and authentic sources of information to build an argument, support a particular opinion or to prove a point. There are generally four types of essays, essay that tell a story (narrative essays), essays that paint a picture (descriptive essays), informative essays that analyze facts in an unbiased manner (expository essays) and persuasive essays (meant to convince the reader to agree to a certain viewpoint or recommendation). This article is designed to provide you essay help from a the best essay writing service in UK, Projectsdeal. If you happen to be a student then the essay is the type of composition that you are most likely to encounter in connection with your academic work (especially the masters level students). Irrespective of the nature of the content or the topic of your assigned essay, a standard essay would invariably have these four parts; a title, an introduction, body of the essay and a conclusion. In most cases, for the masters students, you would be given a precise title for your essay assignment. However, if you are required to make a selection of your own, then the most appropriate manner to frame your essay title that it clearly indicate the nature of the subject you are going to attempt in your essay like “ How mobile phone technology is affecting the business growth”. Like all other deliberate matters, it is smart to create a draft structure of your essay before you actually start writing it. You may not be able to strictly adhere to your pre-decided outline subsequently, but it would help you in maintaining a logical flow in the content. The most important tip to remember is that an essay structure is classically built on the principle of “reverse engineering”. Practically, it would mean that you would decide about the facts or argument you want to prove in the conclusion part of your essay. It would help you in researching for the content to support your argument. After having done that, you must logically introduce your subject matter to the reader (in the introduction part). Add the content in your introduction that arouses reader interest in reading your essay. Throw in some interesting (but controversial facts) that urge the reader to find out more. The body of your essay is the argument “battlefield” of your essay. Treat it as such and pitch competing arguments in the essay body. Make sure that the arguments which you need to support in your conclusion are supported heavily and they come out as the most convincing among the pitched arguments. Do not miss out on any questions posed to you in the requirements. Conclude by logically summing up the stated facts and supported arguments in the “conclusion” part. Only cover the main point without missing out on any. Check the content for correctness of references cited. 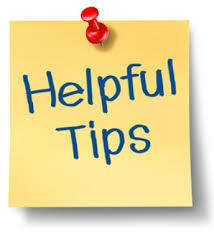 For more great tips on writing an effective essay please visit www.projectsdeal.co.uk.